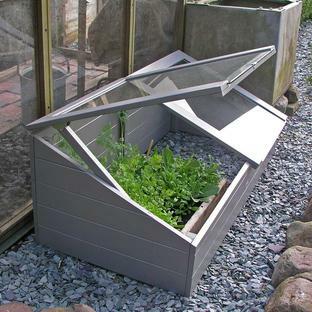 Potting table and mini greenhouse for urban gardens. 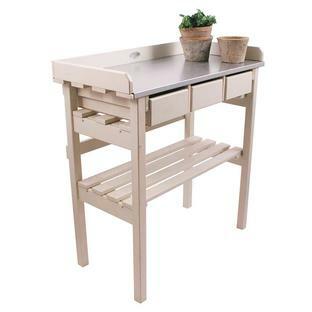 This delightful potting table and mini Spira greenhouse are perfect for the urban gardener or where space is an issue. Designed for Skagerak by Mia Lagerman, both the table and the greenhouse are made from durable teak. 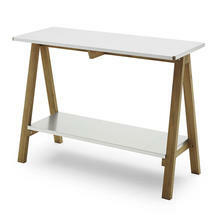 The table has a galvanised steel work surface and handy galvanised steel shelf. 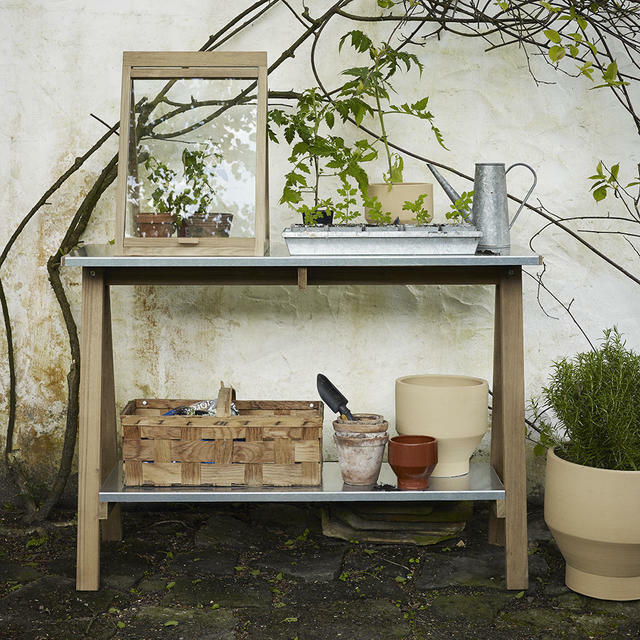 As teak is a hardwood the potting bench can be left outside if no cover is available. 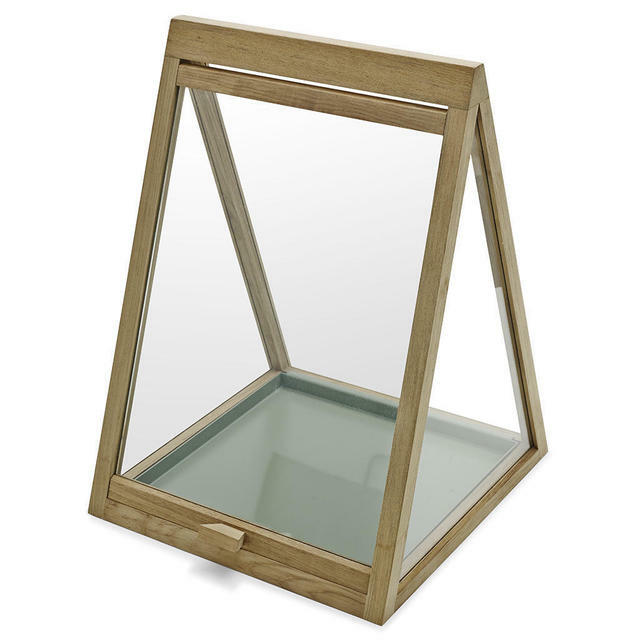 The triangular shaped greenhouse has glass sides and a steel hanged lid for easy access, as it is made from teak the frame is suitable to be left outside and used to over winter tender plants or encourage small seedlings. 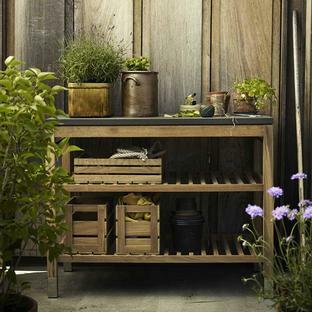 Teak is still far and away the best type of wood for garden furniture. 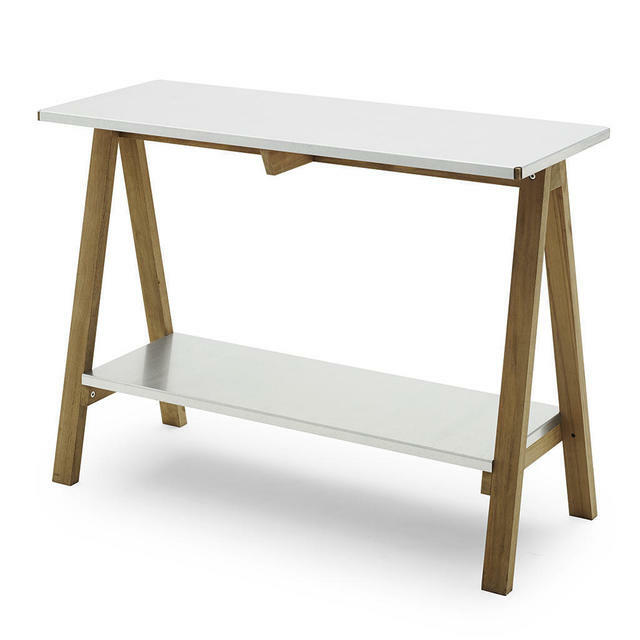 The wood is strong and stable. Your Skagerak items should be delivered within 10-14 working days. We will contact you on receipt of your order to give you more precise information. Skagerak Teak Maintenance information.